Rev 12:10-11 And I heard a loud voice in heaven, saying, “Now the salvation and the power and the kingdom of our God and the authority of his Christ have come, for the accuser of our brothers has been thrown down, who accuses them day and night before our God. (11) And they have conquered him by the blood of the Lamb and by the word of their testimony, for they loved not their lives even unto death. One typical method and characteristic of the wicked is that they accuse the righteous. They know that a godly person has a sensitive conscience (often too sensitive) and the evil man uses that against us. As you can see from the Scripture above, Satan is described as “the accuser of our brothers.” Think of what he said to the Lord, for instance, about Job. Or consider the accusations of Satan’s children, the Pharisees, that they rained down upon Christ. 1Co 13:1-3 If I speak in the tongues of men and of angels, but have not love, I am a noisy gong or a clanging cymbal. (2) And if I have prophetic powers, and understand all mysteries and all knowledge, and if I have all faith, so as to remove mountains, but have not love, I am nothing. (3) If I give away all I have, and if I deliver up my body to be burned, but have not love, I gain nothing. Jesus said that we can know evil people “by their fruit.” That is to say, we watch the kind of fruit that their lives produce, that is visible – their words, their actions – the visible things you see. And it is what we can see that tells us what we cannot see – the true condition of their heart. Bad fruit = bad tree. Good fruit = good tree. But sometimes discerning these things isn’t all that easy. No doubt many victims of abuse struggle with this. So let’s do some serious thinking about this. One of the most common ways that a Christian is persecuted today is in the scenario of a Christian who is married to a non-Christian. 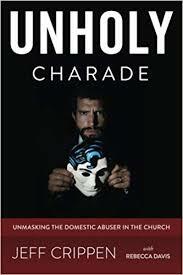 Very often the unsaved spouse, the abuser, parades himself or herself as an eminent Christian, but is really only a Saul. And at the root of the abuse is a fear of Christ, as the abuser sees that the Spirit of Christ is in the victim, and a hatred for Christ and thus for the victim. This is vital for all churches and pastors and Christians to realize. Not only for themselves personally, but because it will enable them to understand what is really happening to an abuse victim who is a Christian. Listen now, and learn. NOTE: This post was originally published at my Light for Dark Times blog (lightfordarktimes.com) January 11, 2019 but I am also publishing it again here to be certain all our readers see it. It is a very important subject. Need I go on? This is the pattern of Light exposing evil as God commands. Is it the typical pattern we see in churches now? Hardly.